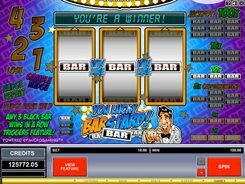 You Lucky Bustard is an old-school video slot from Microgaming played over three reels and a single payline. The symbol set includes bar symbol variants such as Yellow Bars, Red Bars and Black Bars (the last are single, double and triple ones). 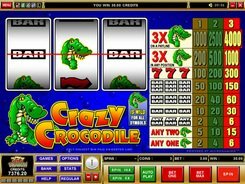 A bet ranges from $0.1 to $10 per line, per spin. 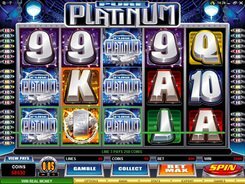 Hitting three Triple Bars on the payline awards the slot’s jackpot of $1000. 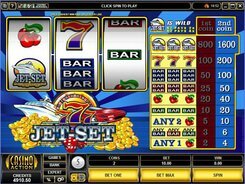 The second ($160) and third ($100) largest payouts are granted for rolling up three Double Bars or three Single Bars on the line, accordingly. 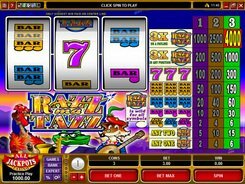 The slot has Hold, Nudge and Shifta features that are triggered randomly during a normal game. 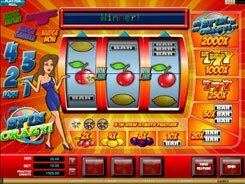 The Hold feature will enable you to freeze any reel while respinning the remaining reels in an attempt to form a winning combo. Using the Nudge feature, you can push a selected reel up or down for a better combination of symbols. 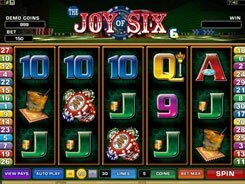 Besides, hitting any three black Bars activates a second-screen bonus game where you may be awarded a maximum win of x250 times your total bet. PLAY FOR REAL MONEY!